The list of nonstop flights from Mineta San Jose International Airport (SJC) just keeps on growing. 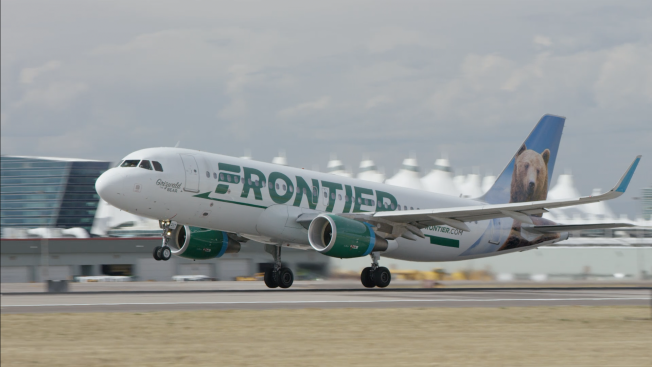 Frontier Airlines announced three new nonstop flights to Atlanta, Cincinnati and Colorado Springs, Colorado as the latest destinations from San Jose on Tuesday. “With the addition of three new low-cost, nonstop options, travelers in the South Bay/Silicon Valley area will now have access to seven nonstop destinations in the Spring,” said Frontier Airlines’ senior vice president of commercial, Daniel Shurz. 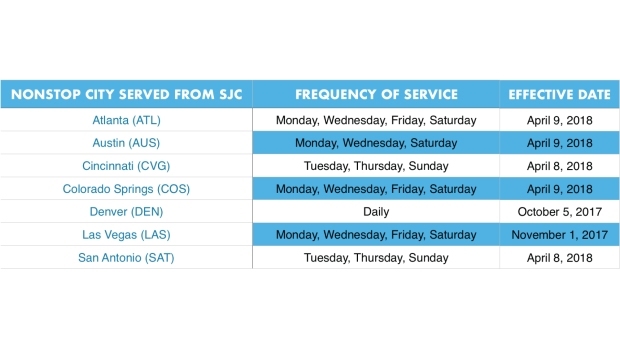 In July, the airline had previously announced their launch of service at SJC with nonstop flights to Denver, Las Vegas, Austin and San Antonio with fares priced as low as $39. With the addition of these three new nonstop flights marks 50 nonstop destinations served from San Jose International Airport.